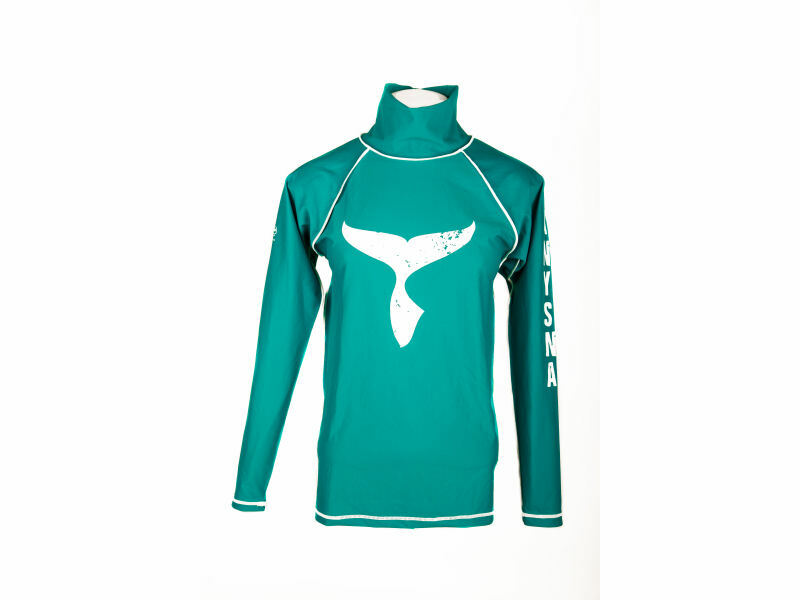 Made from Span-flex 4oz for durability and sun protection (50 UPF approved). 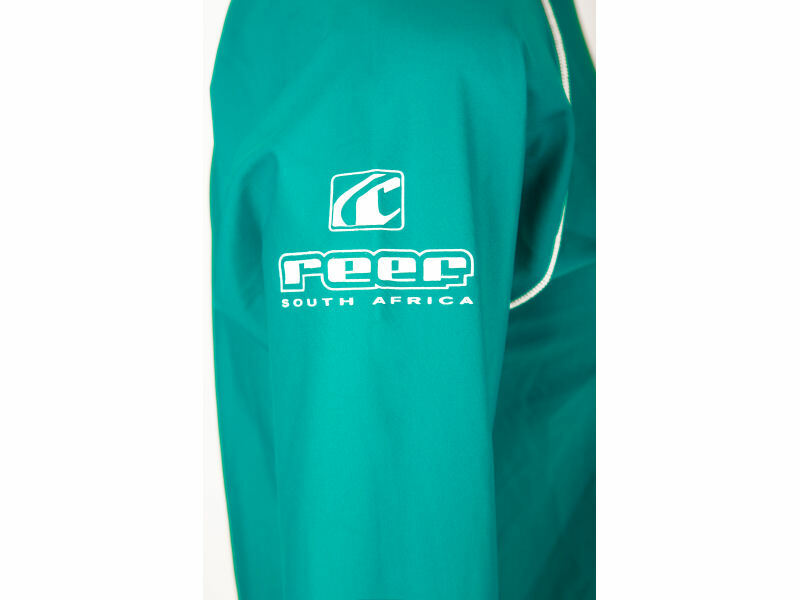 The longer neck gives added sun and chaff protection. 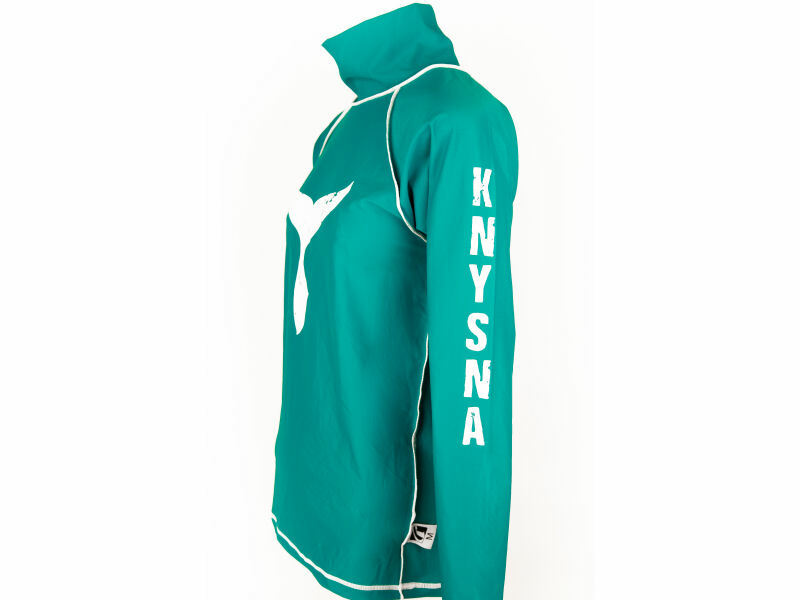 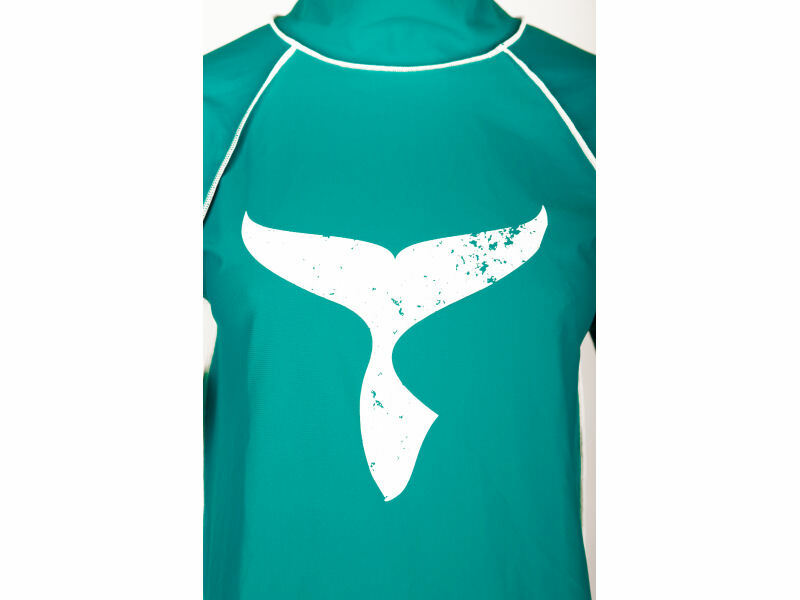 White whale tail printed on the front chest, White “Knysna” down the left sleeve and white reef logo printed on the right sleeve. 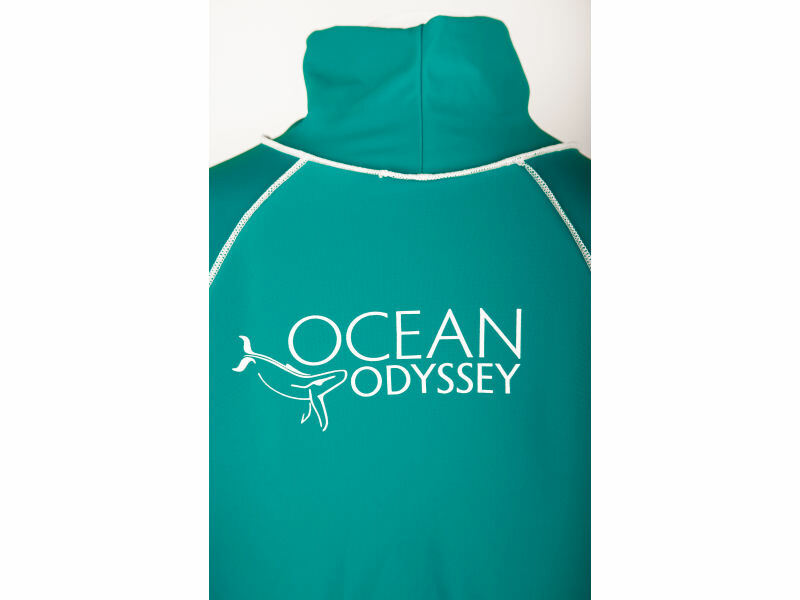 White Ocean Odyssey logo printed on the upper back.